We had a nice mention and link in Frommers.com this week. ARTfarm has been photographed or mentioned in a number of articles this year, including in Travel and Leisure magazine, Coastal Living (pictured here) and other print/online lifestyle news outlets. 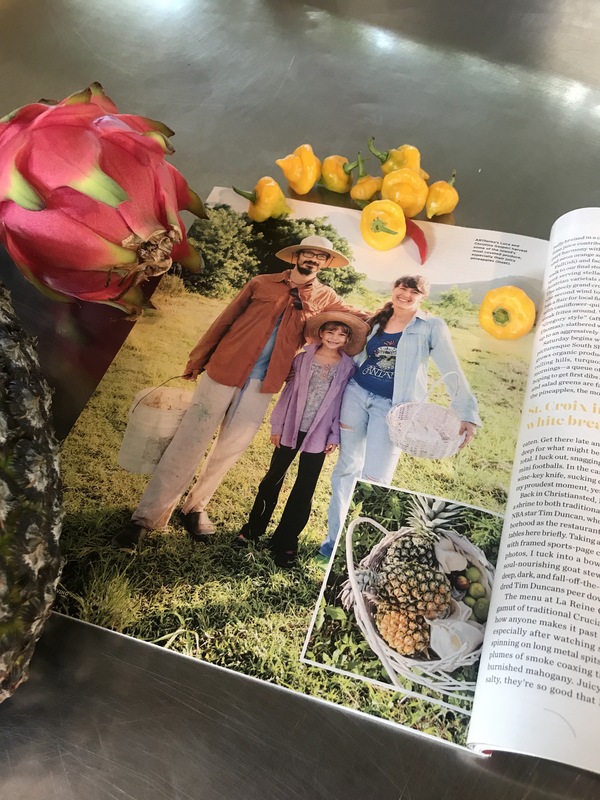 The hot topic for these travel writers is St. Croix transforming into a foodie’s paradise, but Frommers’ writer, Alexis Flippin, seems to capture it in a way that is really succinct and well researched. We love this focus on a more sustainable, tourist friendly, picturesque and healthy industry direction on St. Croix. We are proud to be a small part of the greater agriculture community here and grateful to our fantastic chefs and tourism department who are directing attention toward this topic. Wednesday stand, 3 – 5:30 PM: Sweet salad mix, baby arugula, baby spicy salad mix, all of our tomatoes, all of our peppers, beautiful big onions, beets, sweet potatoes, Italian basil, dill, parsley, recao garlic chives, radishes, cooking greens, dandelion greens, loads of papaya, a few pineapples (it’s not over, but it’s just not abundant at the moment), watermelons, lots of pumpkin, a few passion fruit. No zinnias today – they all are attending a wedding! As is typical for this time of year, the tomato season at ARTfarm is beginning to show signs of slowing down (as are the farmers!). While we still have plenty of beautiful ripe tomatoes, you may notice a reduction in the average size of the bigger slicing varieties. 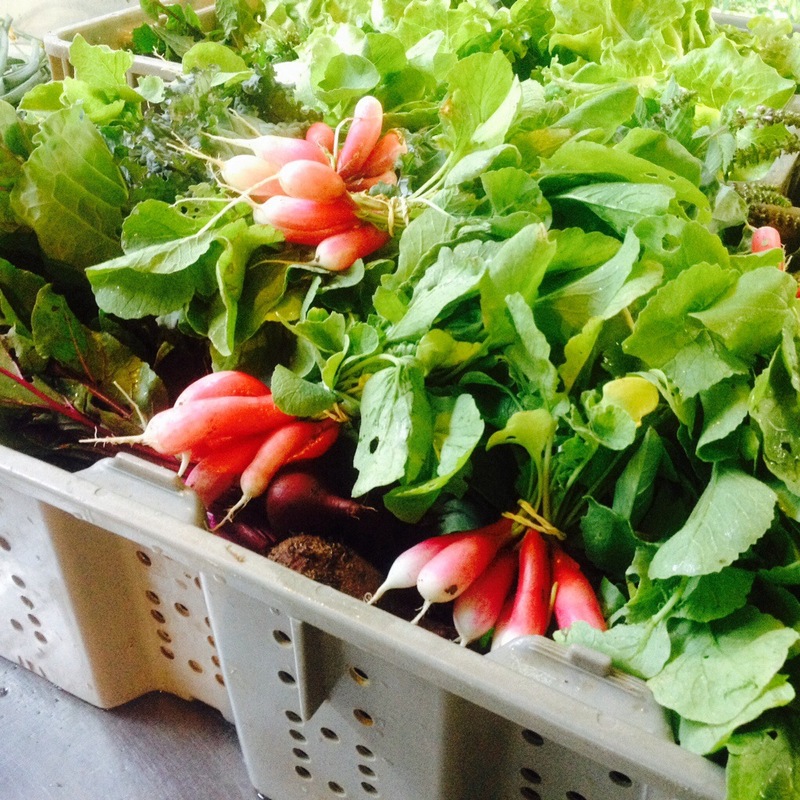 Today, 3-6pm: Sweet salad mix, plenty of baby arugula, baby spicy salad mix, onions, all the (cherry, heirloom, slicer, plum) tomatoes, lemon basil, holy basil, Italian basil, parsley, garlic chives, pumpkin, sweet bell peppers, hot peppers, seasoning peppers. Earlybird specials (small quantities): cucumbers and passionfruit. From our partners we have fresh Mahi and tuna from fisherman Ryan DiPasquale, Fiddlewood Farms fresh locally made goat cheese​, and local coconut vegan ice cream in various local fruit flavors from I-Sha. Also figs are bursting with new buds. Hopefully we’ll have loads of fruit in a few weeks. 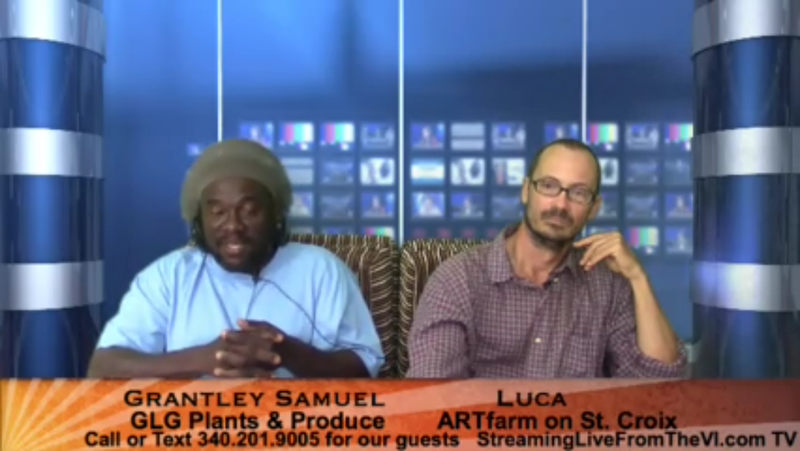 Q&A Wednesday: many questions were asked and answered when Farmer Luca appeared with Farmer Grantley of GLG Plants & Produce on the “It’s Your Perspective” YouTube live streaming talk show with hosts Ras Kimba (David Christian, CHS ’83) and Ras Soup (Campbell Carter) last night. 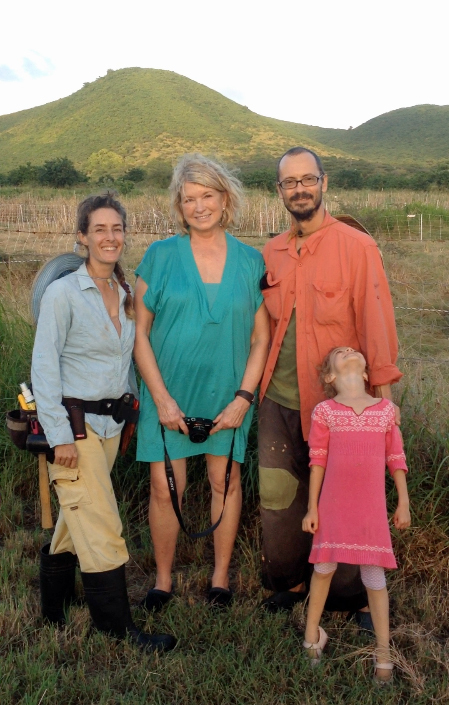 They talked for about an hour about farming, the state of agriculture today, and the Taste of St. Croix. Their 4/12/2016 interview is archived on YouTube. We look forward to seeing friends at the Taste tomorrow night! Stop by our table and say hello! If you are not attending, we urge you to make a reservation at Chef Ken Bigg’s kitchen over at Galangal for a lovely night out! Chef Ken wins the ARTfarm Chef of the Week award for personally delivering seven boxes of fresh frozen fish carcasses he saved for our composting system. Nothing says “I love you” to this farmer like a tower of fresh fish parts on your doorstep! ARTfarm holiday weekend schedule: OPEN! Greetings ARTfarm family! We will be open on Monday, Martin Luther King Jr. Day, at our regular hours of 3–6 p.m. We will have our regular assortment of freshly made salad greens, herbs, plenty of tomatoes for everyone, and other typical ARTfarm goodies. In the media: Luca appeared briefly on the Fresh From The Farm talk show hosted by Mr. Errol Chichester on Saturday morning from 7 to 8am on WSTX-AM 970. It was a lively discussion, for two men who were both a little sleepy at that hour. 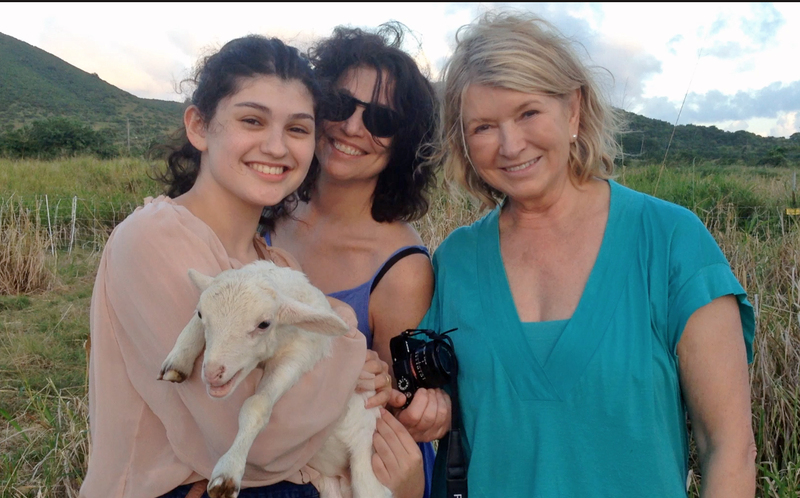 They also tell us ARTfarm will be in the Avis and the St. Croix Source on Monday to divulge some of the details of our encounter with Martha Stewart. Martha’s sister has also informed us that there will be a post about us on Martha’s blog on Monday and Tuesday at themarthablog.com — Enjoy. And if anyone has an extra copy of the Avis article, please bring us one!